Few queries surrounding the New Testament are as well known as the question regarding the authorship of Hebrews. Since the early centuries of Christianity—indeed, long before the New Testament canon was finalized—inquisitive readers have investigated who wrote the Epistle to the Hebrews. Origen, Clement of Alexandria, Tertullian, Eusebius, Augustine, Aquinas, Luther, Calvin, and Harnack (to name but a few) have theorized and argued about the identity of Hebrew’s author. No less a list than Paul, Barnabas, Apollos, Luke, Silas, Peter, Clement of Rome, Priscilla and Aqulia, Ariston, Philip, Jude, Epaphras, John the Apostle, Timothy, and Mary (the Mother of Jesus) has been suggested as to whom this figure might be. 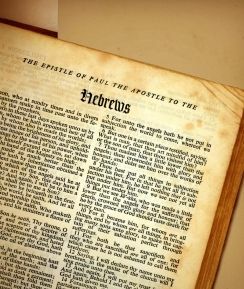 In recent decades, those studying Paul have increasingly problematized claims that the Apostle’s authored Hebrews, making it less likely that the long-assumed writer of Hebrews actually penned the work. And despite the copious number of theories concerning other potential authors of Hebrews, rather little has been offered by way of solid conclusions. To address this noteworthy issue, a couple of years ago came David L. Allen’s Lukan Authorship of Hebrews (Nashville: B&H Academic, 2010. 416 pgs). In Lukan Authorship of Hebrews Allen argues that Luke—the companion of Paul and author of Luke-Acts, working under the inspiration of the Holy Spirit—independently wrote the Epistle to the Hebrews while in Rome around 67 CE. Although no recent scholarship affirms this precise position, Allen substantiates his position through appeals to history (Origen and Eusebius indicate early Christians who believed this), linguistic and theological analysis, and critical reconstruction. Aimed at offering a “big picture” approach to the possibility of Lukan authorship of Hebrews, Allen writes using a methodology which rejects falsely easy and overly confident answers while considering literary connections, context, and the limitations of historical and textual evidence. 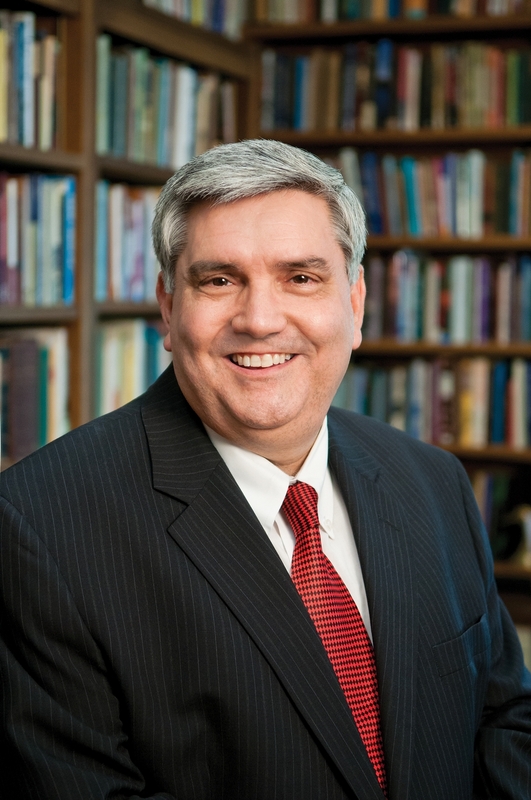 Through his re-opening of the authorship question, employment of a holistic methodology, proposal of an exegetical/interpretive approach, and reconstruction of the history of early Christianity and early Christian writings, Allen advocates a “paradigm shift” concerning the authorship of Hebrews, a paradigm shift for which the contents of this book forcefully make an argument. Chapter One of the Lukan Authorship of Hebrews surveys the history of this question. Here Allen traces who has argued what concerning the authorship of Hebrews, from Pantaenus’s affirmation of Paul to Tertullians argument for Barnabas and from Harnack suggestion of Priscilla and Aquila to J.M. Ford’s theory of Marian authorship. This chapter is a truly masterful presentation regarding opinions and theories on the authorship of Hebrews. Especially helpful is Allen’s consideration of both ancient and modern sources in combination, taking a “theories” tactic rather than a strictly chronological approach. Throughout the Lukan Authorship of Hebrews Allen demonstrates his command of both ancient and modern scholarship, and nowhere is this expertise more on display than in this chapter. In Chapter Two, Allen offers an evaluation of evidence for Barnabas, Apollos, and Paul as the authors of Hebrews. The consideration of Barnabas and Apollos is relatively short, but adequately notes the textual and historical problems with these theories. Allen’s central contention regarding these figures is that given their lack of extant texts to compare with Hebrews, we cannot reasonably posit them as authors. In light of this approach, it was quite surprising to not see some consideration of Clement of Rome as a possible author of Hebrews, especially since Clement has at least one extant writing and was listed as fairly common possible author by the early Church. The examination of Paul’s possible authorship is quite rich, and Allen concurs with the findings of much New Testament scholarship (ancient and modern), that Paul was likely not the author of Hebrews. Chapter Three contains the linguistic argument for the connection of Hebrews and Luke-Acts. 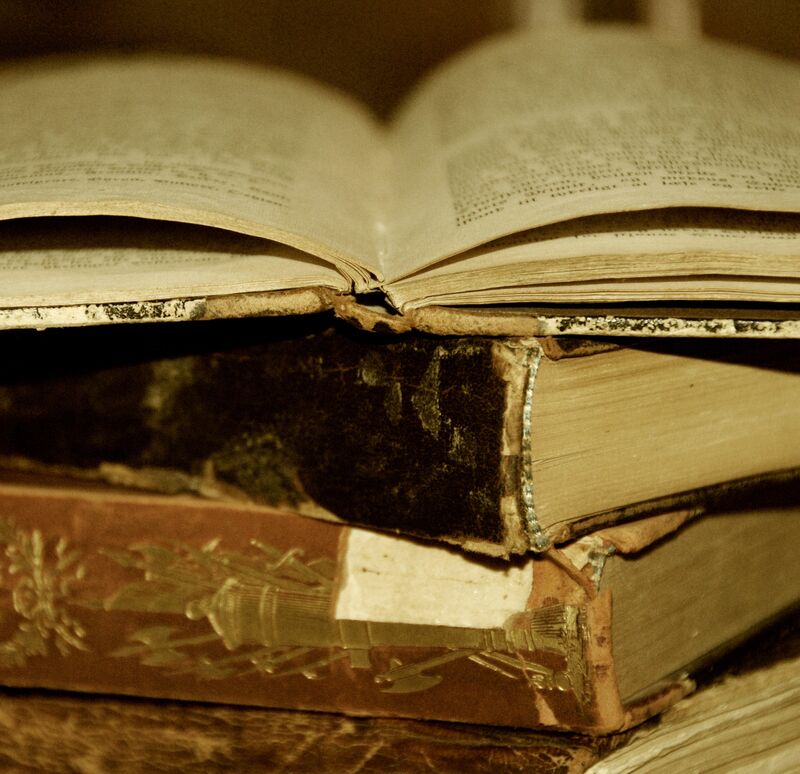 Allen undertakes rigorous lexical, stylistic, and textlinguistic analysis without falling into the trap of presuming that coordinated vocabulary or approach necessitates a literary connection. For example, in considering the lexical similarities between Hebrews, Luke-Acts, and the Pauline corpus, Allen concludes that individual comparisons do not rule out a “Paul-through-Luke” theory. Taken as a whole, however, he argues that a “Pauline companion” theory of Hebraic authorship more than accounts for the level of lexical and stylistic similarities between Hebrews and Pauline writings. While the consideration of macrostructure and chiasm was less convincing than other portions of the chapter, the arguments in this section are easily the strongest for Lukan authorship. All in all, this chapter is a powerful and persuasive tour de force for the Lukan authorship of Hebrews, as Allen convincingly highlights the plethora of lexical, stylistic, and textlinguistic connections between these writings. After a chapter comparing the purposes of Hebrews and Luke-Acts, Chapter Five compares the theological viewpoints of Hebrews and Luke-Acts. Here, Allen effectively draws out the theological similarities between Luke-Acts and Hebrews, especially in the areas of Christology, eschatology, and prophecy. This chapter offers another strong and convincing argument for the Lukan authorship of Hebrews. Chapter Six tackles what has often been seen as the biggest obstacle to arguments in favor of Luke’s composition of Hebrews, namely the assumptions of Luke as Gentile and the author of Hebrews as a Jew. In contrast to these assumptions, Allen demonstrates the thoroughly Jewish background of Luke and the Jewish milieu of Luke-Acts, thereby alleviating from this critique much of its firepower. Chapter Seven offers a historical reconstruction of the circumstances surrounding the Lukan authorship of Hebrews. This is one of the most fascinating sections of the Lukan Authorship of Hebrews, as Allen begins building an overarching history of Paul, Luke, Theophilus, and early Christian writings surrounding these figures. This chapter covers everything from Gospel writing to the destruction of Jerusalem, to Jewish high priestly families and Luke’s Antiochene connection. Sprinkled throughout with intellectual tentativeness and clearly outlined as a working theory, Allen cogently presents his historical narrative of the literary context and output of the AD 60’s in accordance with the argument of this book. Readers are directed to what may be the lacuna in the Lukan Authorship of Hebrews by this chapter’s reconstruction of the Pastoral Epistles—which Allen advocates could have been penned by Luke as Paul’s amanuensis. While Allen notes the possibility on numerous occasions, it would have been beneficial to have considered at greater length the “Paul-through-Luke” option of Hebrew’s authorship. This is the theory that ever lingers as a possibility—especially when Allen suggests that this is how Paul may have “written” the Pastorals—and does not seem to be adequately laid to rest by the linguistic and theological arguments which so powerfully connect Luke-Acts and Hebrews. 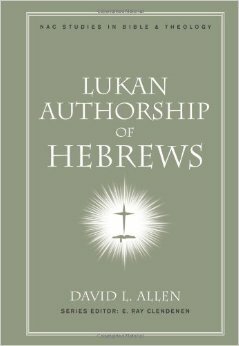 Overall, the Lukan Authorship of Hebrews is an important work, a necessary read for those working on Hebrews or Luke-Acts and a recommended read for those in New Testament and Early Christian Studies more generally. Allen’s methodology and linguistic analysis are particularly compelling, and his historical reconstruction credibly contributes to an “early” (i.e., J.A.T. Robinson-esque) chronology for dating the writings of the New Testament. Allen’s arguments will not convince everyone of the Lukan authorship of Hebrews. However, for those inclined to examine Christian history with concern for the coordination of history and theology, Allen’s work is a convincing, superbly researched resource and comes highly recommended. As the search for finding and understanding the author of Hebrews continues, the Luke Authorship of Hebrews will have an important voice to contribute to the conversation. I received this book from B&H Academic in exchange for my honest review. All opinions expressed are my own.